Her name was Cindy. 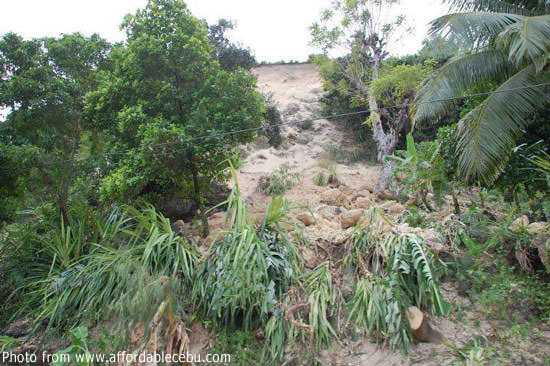 She was just one of scores buried underneath tons of earth that came sliding down the side of the mountain and onto their homes as a consequence of the cataclysmic heaving of the earth in the Central Philippines around midday just last Monday. Like many others who suffered the same fate, she was to discover that Nature, indeed, in its fury takes no prisoner. Many hours later, as soldiers and good Samaritans desperately and painstakingly dug into the earth with their shovels and even their bare hands, an elderly couple approached them. Their faces were dark and wizened; as tends to happen to those who live their entire lives under the blazing sun tending to their stretches of farmland. Please, they pleaded with the soldiers, would they please double their efforts. In the man’s palm, he held an antiquated cellular phone. His face fraught with anxiety, he showed the soldiers a text message from his daughter Cindy pleading with rescuers to hurry up. She could see some light, she said in her text message; but the rescuers needed to come quickly. I could not help but wince as I watched a video clip on this incident being broadcast by one of the primetime news programs last night. If it was a collapsed building for which posts would invariably hold portions of flooring up – enough, at any rate, to leave spaces – I would have been more optimistic about survivors. But what I was seeing was nothing but bare earth; tons upon tons of it! The soldiers had come quickly; but because horrendous cracks along the highways and collapsed bridges have isolated quake-struck communities, it was impossible to send in heavy machineries to assist the rescuers. All I could remember thinking while watching the video clip and the huge mound of bare earth was, “Who could possibly survive that?” Yet, I suppose like most other people watching the news show, I hoped – nay, prayed – that Cindy would be quickly found. Yet, I was not surprised at all when the news reporter concluded his item by saying what I suspected all along – that nobody could possibly have survived that. I could not help but wince all over again as the video showed the soldiers pulling Cindy’s lifeless body from within the grave that she had absolutely no warning she would find herself buried in and from where she would send her last desperate and futile call for help. The sight of her family wailing at seeing her body being stretchered off from the site could have melted a heart of stone. Hope, they say, costs nothing and springs eternal; but it can also be a dangerous commodity to hold onto if the odds are stacked against you. 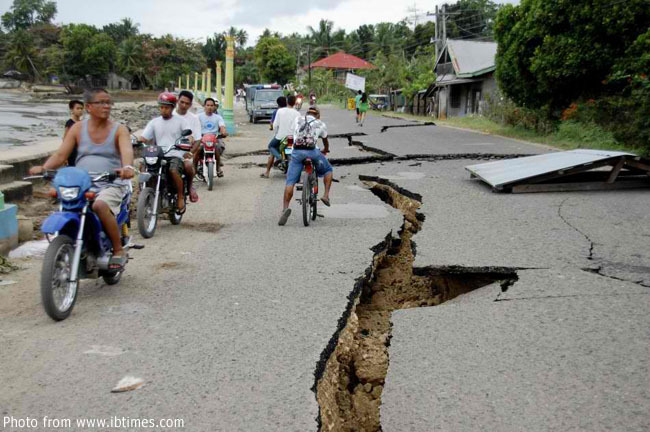 There are at least 71 people buried under tons of earth in Negros Oriental as a result of landslides triggered by the magnitude 6.7 earthquake that hit the country last Monday. There have been over a thousand aftershocks, media reports. 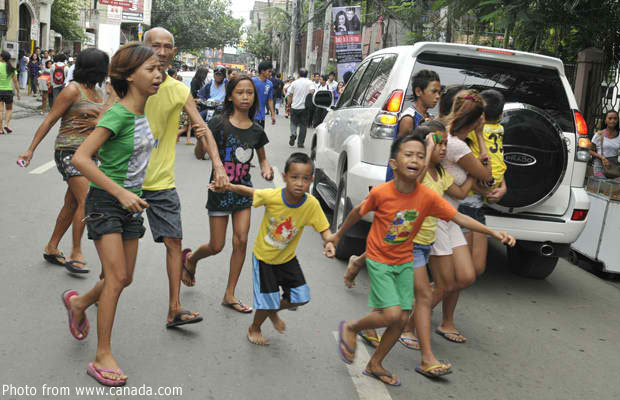 People are dazed and in fear, not quite yet coming to terms with what had hit them. We do not know how many more Cindys will be unearthed in the coming days because rescue efforts are hampered not only by the lack of equipment but also fear that the continuing aftershocks could trigger more landslides from the loosened earth. In truth, though, there probably is no answer. The earth is just probably giving periodic reminders that it is the landlord and that we humans are merely the tenants. What can we do but simply accept that we can be evicted anytime?